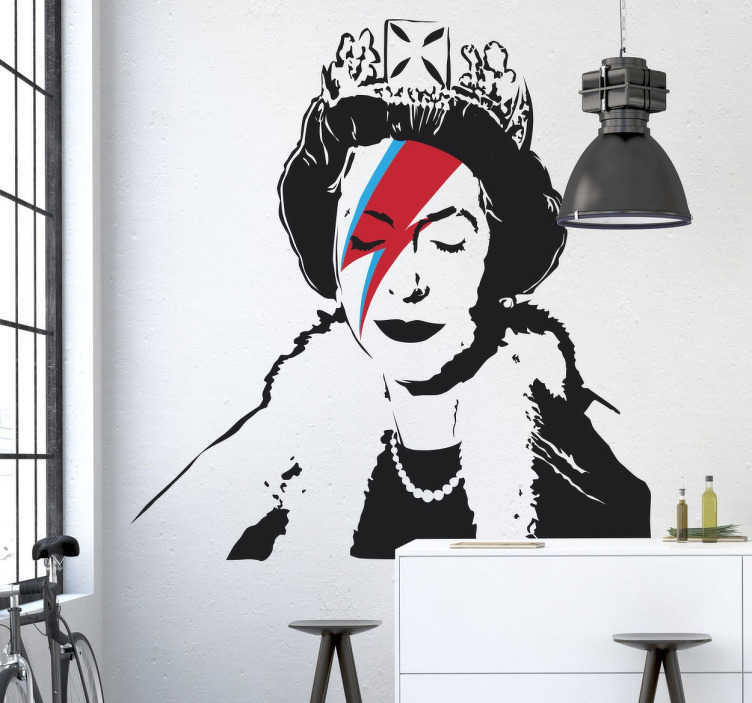 Decorative vinyl by famed urban artist Banksy and the performance he performed of the Queen of England with David Bowie's Ray in 1970. A decorative sticker that will bring character to your home. Make your home a different place with this iconic wall sticker, made in quality vinyl. This wall sticker will create an atmosphere that you can combine with other murals and vinyl works of art. Choose the size that best suits your surface and makes your home a spectacular, modern and trendy place. The sticker is easy to apply so that no bubbles remain inside.